Jean loved animals, especially dogs, and was a mother to many furry four legged sons, daughters, and grand dogs. 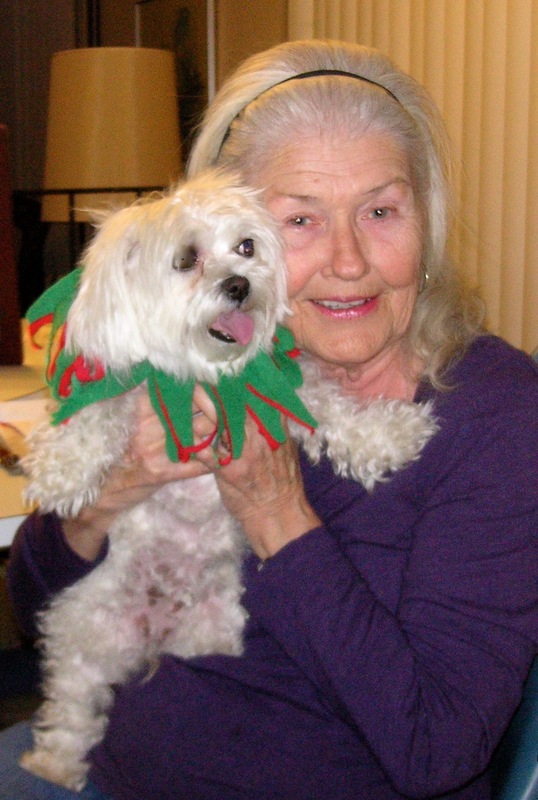 She was always very giving to animals in need and requested upon her passing for donations to go to Orange County SPCA. Thank you for your generosity in Jean’s name. We would like to share with you one of Jean’s favorite prayers by the patron Saint of Animals, St. Francis of Assisi. In your infinite wisdom, Lord God, when You created the universe You blessed us with all living creatures. We especially thank you for giving us our pets who are our friends and who bring us so much joy in life. Their presence very often helps us get through trying times. Kindly bless my pet. May my pet continue giving me joy and remind me of Your power. May we realize that as our pets trust us to take care of them, so we should trust You to take care of us, and in taking care of them we share in Your love for all Your creatures. Enlighten our minds to preserve all endangered species so that we may continue to appreciate all of your creations. Grant this through Christ our Lord. Amen.